Last weekend, I tried three things I’d never done before. Your challenge this weekend , should you wish to accept it, is to try something new. It’s a risky business, choosing what to read. So what if I were to tell you we’ve hand-picked a dozen books we think you’ll like. And to prove our confidence, you can have them for free. All of them or pick the ones you fancy. There’s something for everyone. Adventure, historical fiction, short stories, drama, laughter, romance, mystery, heart-racers and heart-melters. Strong women, passionate women, courageous women, clever women, mysterious women and smart women. Best of all, you don’t actually have to be a woman to enjoy this opportunity. I had a go at parkour (good fun but bruising), took an exam in Italian (passed by the seat of my pantaloni) and ate a persimmon (previously put off by the name Kaki fruit). This weekend, I shall be reading, eating Mexican food and deciding on a title for Book 6. Before I even pressed the publish button, I promised my novels two things: Never free, never exclusive. If I don’t value my work, why would anyone else? And I feel the same way as Dorothy Parker regarding eggs. Things have changed. According to better-informed observers, the ‘free’ phenomenon no longer works in terms of connecting books to readers. It had its moment, filling up e-reading devices with the unread, unreviewed and undervalued. That strategy of luring the reader into your series proved to be largely a myth as many never bothered to read the first one. Some who downloaded and read freebies left poor reviews, reflecting how little worth a free book holds. But I want to address this issue as a reader, not a writer. I just had a cleansing cull of my Twitter feed, deleting all those who post largely FREE!!!! announcements and constant book promotion. I do not want your new free book. I will not read, I will not look. If I dig down the back of the sofa and root about in the corners of my handbag, I can probably come up with three quid. An e-book costs me less than a birthday card and contains a lot more words. It holds the possibility of an enjoyable experience. Just that, a possibility. But you’re not asking for my money. You want something far, far more valuable. Reading is my sanctuary and my education. It’s my reward at the end of a difficult day. 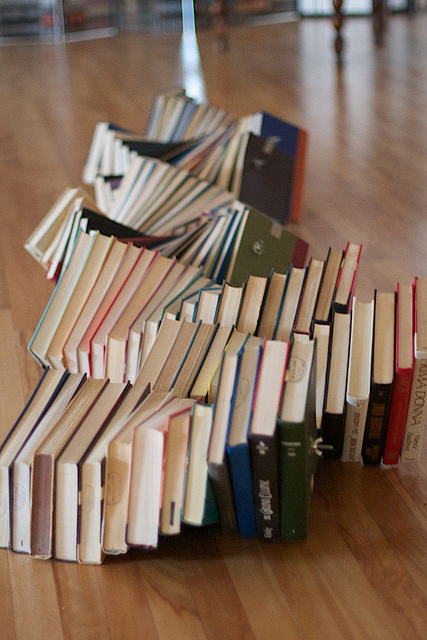 Those precious hours I spend with my paperbacks or e-reader are anything but throwaway. I listen to friends, read reviews, hoard recommendations and if an author seems interesting, I buy their books. This is a big leap for me. Parting with three gilded coins is one thing, but six to ten hours of my attention is a much greater investment. Discounted! Free! Limited time only! I couldn’t care less. For a great premise, intriguing blurb and appealing cover, I’ll have a look. I’ll try a few pages. Plus if the author’s personality is something more interesting than Self-Promo Klaxon, I’ll pay full price, read and review. Today, I bought some pumpkin-seed bread. It costs more than the bog-standard loaf, but I know I will enjoy it. The cashier threw a honey rice-cracker into my carrier bag as a little extra. I thanked him, took it home, crumbled it up and put it on the bird-table. After all, it was free.